I often find myself fascinated by novels set in Russia. Whether it be the terrible siege of Leningrad or the final days of the Romanov family, I find it so interesting. I remember thinking a few years ago that it was kind of surprising that there is so little set in the world of Catherine the Great. Over the last 12 months or so, I have read a couple of books with that setting which goes some way towards rectifying that oversight, but I suspect that just like the country itself, Russian history is so vast that it would be difficult to read something about all the different eras! This book starts in the upper classes of the Russian aristocracy in the latter days of the reign of Empress Elizabeth in the mid 1700's and through the reign of Catherine the Great. 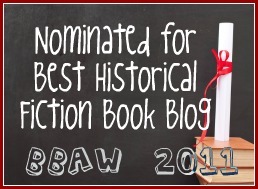 Whilst the reader is exposed to some of the key historical events and culture of that time, really the story is much narrower than you might otherwise expect. While other authors might be tempted to fill the pages with what are undoubtedly fascinating details about the glamourous life of the upper classes, Dean is careful to provide the reader with just enough to colour the book, but not so much that the reader loses track of exactly what it is that this book is about. The book opens with three young women who are about to make their debut into society. Nadya, Xenia and Dasha are on the lookout for husbands. For Nadya, there is marriage to a much older man, Dasha is left for all intent and purpose on the shelf, and for Xenia there is an all consuming love match with Colonel Andrei Feodorovich Petrov. We see Xenia fall in love and then deal with the disappointments and tragedy that life brings her way through the eyes of her cousin and companion Dasha. It is those tragedies which push Xenia out of what is perceived to be normal for a lady of her class and time and that prompts her to begin the acts of charity that she in the end was known for, and which in due course lead to her canonisation as a saint of the Russian Orthodox Church. Whilst I did enjoy this book by the end, there is a pacing issue in my opinion. The book started really slowly especially as the author matches Nadya and Xenia off with their respective spouses, leaving Dasha to find her match much later in life. We are given small glimpses into the gift of foresight that Xenia displays but even then it was really only once she took the definitive steps towards becoming the religious fool after the tragedies of her life that I felt as though I was thoroughly engaged in the story. Given that the book is actually quite short the fact that at least the first half of it is quite slow means that there isn't enough time and space for this reader to recover from that slow beginning. While I do understand why it would have been quite difficult to have Xenia as our narrator through the 'fool' section, I do wonder if the book would have worked better if we had of had more insight into Xenia as the main character rather than viewing her through the eyes of a third party, in this case her cousin Nadya. There were also sections in the book where the focus shifted from Xenia to Nadya's own relationships which was an interesting choice on the part of the author. 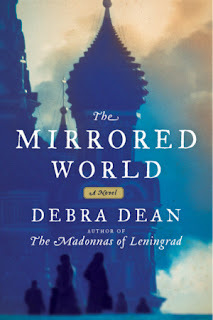 I have no doubt that when the author comes out with her next book (hopefully still set in Russia) I will still be interested in reading it because Dean is a good writer. She has a lovely voice and turn of phrase. This book just didn't meet my admittedly high expectations. Thanks to Edelweiss and the publisher for my copy of this book. Also, be sure to check back in a couple of days when we will have a guest post from Debra Dean. I am very pleased to be able to offer a giveaway copy of this book and it is and international giveaway! - to participate, just leave a comment responding to the review. Don't forget to include your email address in your comment. I read and enjoyed The Madonnas of Leningrad, and am sure I will like this novel also. Thanks for the giveaway. I would love to read a novel set in Russia! I have been meaning to for so long and have not gotten around to it. This looks wonderful! Thanks so much for the giveaway. I'm loving all of the historical fiction that has been coming out about Russia recently. It's so interesting to me! I had a chance to go to Ukraine last year and it was fascinating to me to see how many things still had a Russian influence! This sounds very interesting! Please enter me in the giveaway. Thanks! This story sounds fascinating! Thanks for the opportunity to win a copy of this book. I would love to read about this time period in Russia! Thank you! This book looks fantastic-- thanks for the giveaway! The Russian aspect is the one that draws me, too. The Madonnas of Leningrad is one of my favorite books. I am looking forward to reading this one. Looks like it might be a good one to suggest to my book group. I have yet to read any historical fiction novels set in Russia though I have always been intrigued by the time of the czars. This sounds like a very interesting read. I loved The Madonnas of Leningrad and this book looks really good too. I will be definitely be adding it to my TBR pile. I've always liked historical Russia but this one interests me especially because it's an era that is new to me. I would like to read this one. I haven't read anything by this writer but would dearly love to have this book. I love books set in Russia. I am so intrigued by this time period in Russia. Thanks for having the giveaway! Great review! This sounds really interesting, and I've really been wanting to read more historical fiction, especially if it's set in Russia! I want to read this book, it looks interesting, the cover is very beautiful and the title is stunning. I love historical books. I'm a bit sad that you didn't end up absolutely loving this book, as I've been looking forward to reading it ever since I heard about it. Nonetheless, I enjoyed your review, and still look forward to reading this book.